Product prices and availability are accurate as of 2019-04-20 09:59:10 EDT and are subject to change. Any price and availability information displayed on http://www.amazon.com/ at the time of purchase will apply to the purchase of this product. 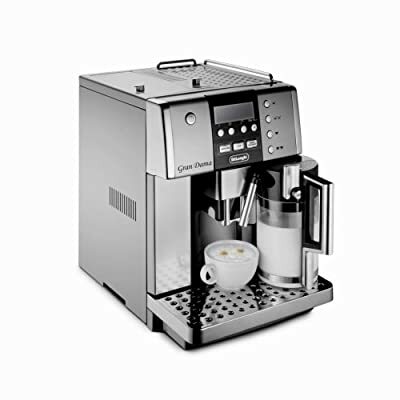 DIGITAL PROGRAMMABLE MENU SETTINGS Allow you to adjust start time, auto shut-off and clock.You can adjust temperature of the coffee and water hardness. Plus, there are five settings for coffee strength: extra-mild, mild, regular, strong, and extra strong.Three buttons allow you to easily choose the size of cup you want: ristretto (small), espresso (medium) and large (American coffee). 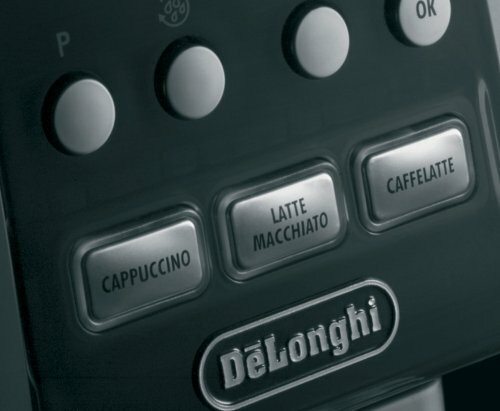 The three settings can be customized to your preferred taste. 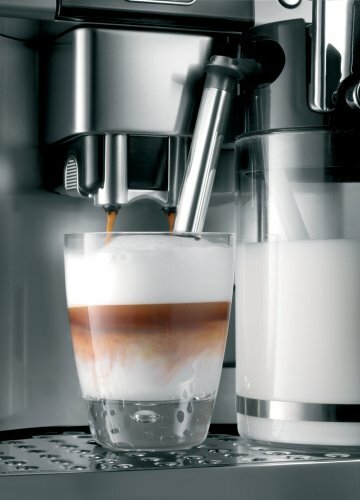 PATENTED SINGLE TOUCH CAPPUCCINO AND LATTE The system includes a 25 oz. milk container, two detachable lids, one for frothed milk for cappuccino and the other for steamed milk for latte. It also includes a unique automatic cleaning function with the easy push of a button. Plus, the entire container is detachable, so it can easily be placed in the refrigerator. All parts are dishwasher-safe. Place the cup under the nozzle and press the button. You'll get a perfect cappuccino or latte every time! Amounts of frothed / steamed milk and coffee are adjustable. WHAT YOU GRIND IS WHAT YOU BREW The compact and patented Direct-to-Brew System with Thermoblock technology provides excellent heat distribution and it's removable for easy cleaning. The beans are ground instantly to ensure the freshest espresso or coffee. 15 BARS of Pressure. PROFESSIONAL-QUALITY CONICAL BURR GRINDER Integrated burr grinder produces consistent, fresh and aromatic espresso or coffee. Grind settings allow you to adjust the fineness for all types of beans. INSTANT REHEAT FUNCTION Heats the core of the machine, ensuring that Magnifica maintains an ideal temperature for brewing.